I am a bit of a snob when it comes to outerwear. Every Fall, I look forward to adding a new jacket to my closet. Over the years, I have built up quite a collection of coats. However, most of them are neutral. This year, I am looking forward to add more fun elements to my outerwear collection such as prints, bright colors and textures. 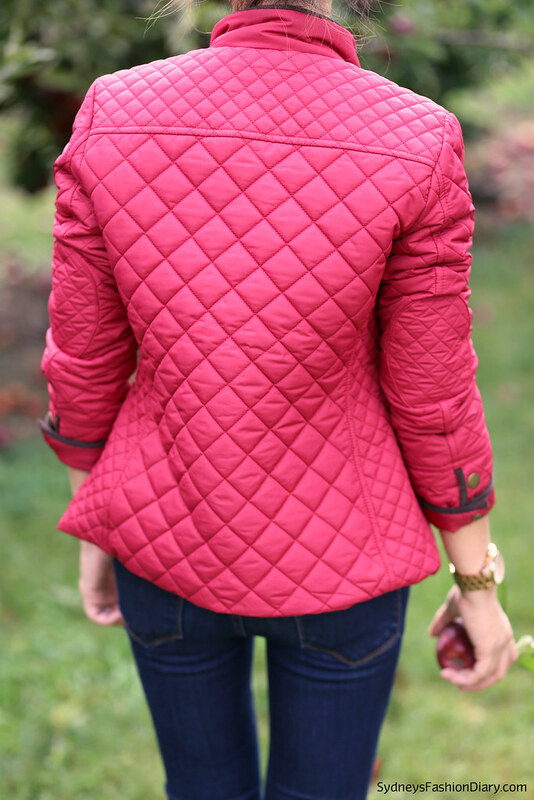 Since most of my clothes are in neutral colors, this adorable quilted jacket adds instant excitement to any outfit. It is the perfect transitional jacket for this time of year. A size 2 petite is nearly a perfect fit for me right off the rack. Not to mention the adorable lining! Measurements are as follows: shoulder-to-shoulder = 14.5", sleeve length = 25", body length = 24". Most of the online reviews said the jacket runs small and I tend to agree. One thing I didn't like about the jacket is that it flares too much toward the bottom. Please note that the color was definitely not red as seen online. It's more like a raspberry color in person. This jacket is great for both work and play. I wore it to go apple picking last weekend and have gotten many compliments. All in all, it's a light weight, well-constructed jacket and most likely would be a good option when it's 50 degrees or above outside. 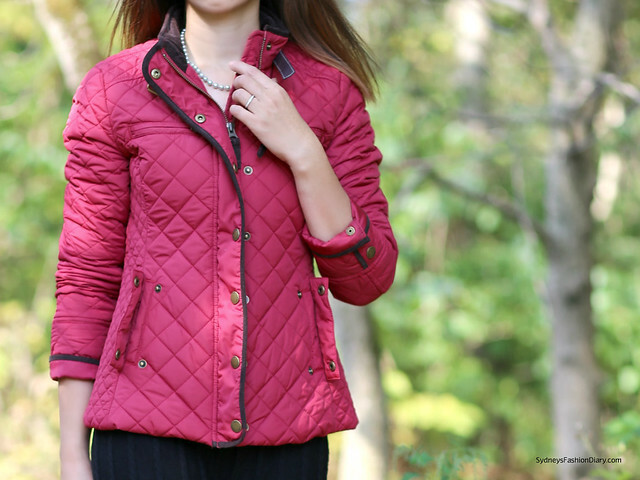 If you're interested in this jacket or any items from Boden, please use this link that include a special discount code for 15% off plus free shipping through 10/4/2014. I love love that jacket! The lining is so cute!! Great fall pick!